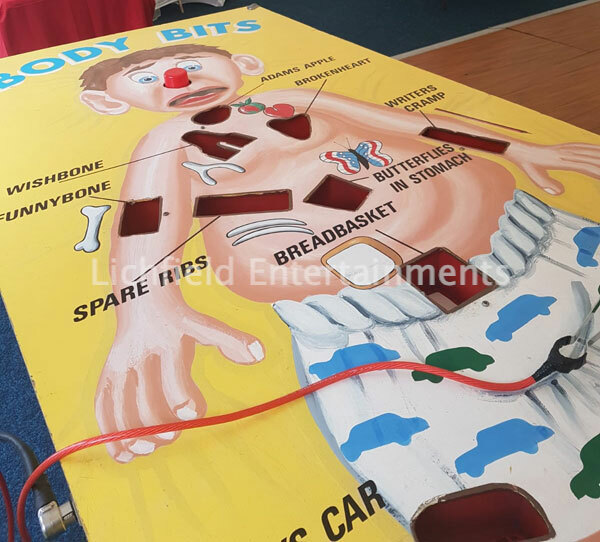 If you're looking for a medical themed entertainment for your event our giant operating game could be the perfect answer. How steady is your hand? Remove the Body Bits without sounding the buzzer and making the patients nose flash! Great fun for ages 10 - adult. Ideal for corporate events and promotions, parties, receptions, and general evening entertainment and perfect for any medical or pharmaceutical events. If you have any queries, questions, or would like to make a booking please click here to enquire and we will do all we can to help.